The new Flexi-Coil 4350 air cart is designed specifically for large farming operations, and offers ease of operation and efficiency. As big brother to the 3850, the 4350 air cart has a huge 430-bushel (over 15,000-litre) capacity. It also features three integrated polyethylene tanks and a high-volume 10-inch auger that allows for quick tank fills and unloads. Since 1952, with the introduction of the revolutionary coil packer, Flexi-Coil has become a world leader in seeding, tillage and spray equipment development and manufacturing. "Flexi-Coil is known around the world for its reliability and its functionality. Flexi-Coil places strong emphasis on research and development and liaises regularly with farmers when designing new equipment, “said Steve Mulder, Flexi-Coil Sales & Marketing Manager. When optional second and third intermediate manifolds are fitted as required, the operator can apply up to three separate products for single-, double-, or triple-shoot applications, providing more options for applying seed, fertiliser or granular products in one pass. 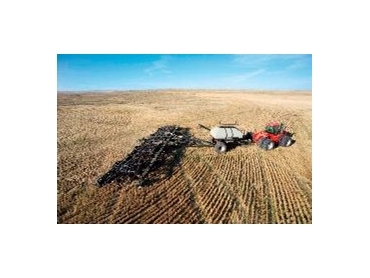 Downdraft metering on the 4350 air cart is efficient, flexible and easily accommodates a wide variety of cropping activities for large air seeders. Air damper control at each meter box enables the operator to set airflow for the accurate delivery of various products. The 4350 air cart offers a choice between mechanical or variable rate meter drive. The mechanical meter drive features a slide adjustment for infinite rate setting and lets the operator select the exact rate desired without having to change sprockets or chains. The variable-rate metering system offers the added benefit of letting the operator change the rate on-the-go from the cab. It adapts easily to GPS precision farming applications and allows growers to apply seed and fertiliser on-the-go and customise their application to suit individual areas of a field. “Whether mechanical or variable rate, the operator can be confident that all machine functions are operating at peak efficiency with the aid of the FlexControl monitor,” said Steve. Sales, parts and service for crop production products are provided to customers by dedicated Flexi-Coil dealers throughout Australia. For a limited time, Flexi-Coil is offering significant retail bonuses for customers who plan purchases for delivery for seeding in 2007. Flexi-Coil, in conjunction with CNH Capital, is also offering competitive rates as low as 6.8% to approved purchasers.